Reliance Jio, which is yet to launch it’s commercial 4G services, has already marked its presence in the country’s fast growing smartphone market. The LYF smartphone brand has emerged as India’s fifth largest smartphone player in its first quarter since launch, according to data from Counterpoint Research, which says that the LYF brand cornered an impressive 7% share of the smartphone market. Notably, Jio’s high speed broadband services are being only used by Reliance Industries Limited’s group employees, and their families, along with partners and retailers under the trial run, which was launched in December last year. Reliance Jio recently revealed that it’s subscriber base has gone beyond half a million with 18 Gbps of average data consumption per month. The telco didn’t give a timeframe, but said that it would be able to launch commercial services once its subscriber base reached a million. The statement suggests that the company, through Reliance Retail, will increase efforts on building the LYF brand by launching more VoLTE smartphones in coming months. The Counterpoint report said that two of three smartphones shipped in the first quarter of the year supported the high speed 4G broadband services. “In first quarter of its inception, LYF instantly climbed to become one of the top five smartphone brands in India in terms of shipment volumes,” Tarun Pathak, Senior Analyst at Counterpoint said. 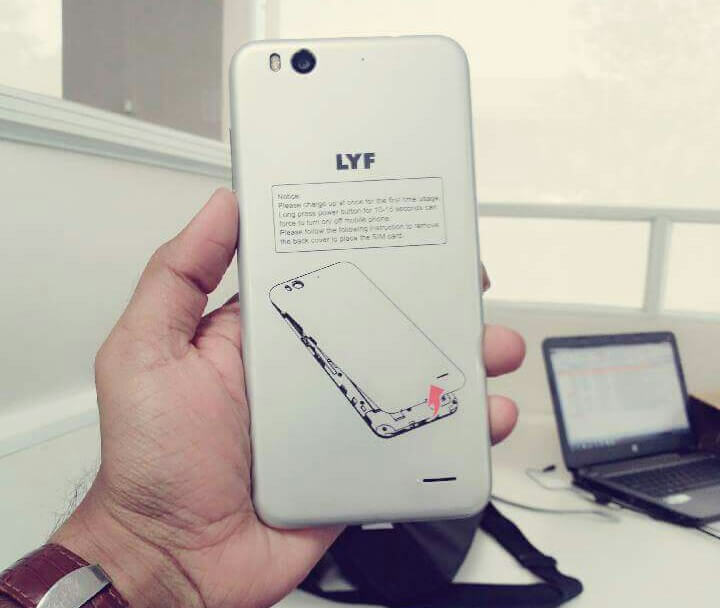 LYF jumped to the second spot in the category of phones supporting 4G, the firm said, adding that the strong shipment was more of ‘channel filling’ and the actual sell-through or sales to end customers, will happen in April to June period as the operator starts full-fledged marketing. “Jio with its massive LTE network and scale could be the key player to watch out for as it has already become the second largest LTE phone supplier during the quarter,” Pathak added. Jio shipped 1.7 million LYF phones into India from January to March, trailing No 4 Lenovo-Motorola that secured 8% share, No 3 Intex which had a slightly higher share of 10%. Micromax retained its No. 2 slot, while Samsung maintained its leadership. Smartphones made up 45% of the total phones shipped for the quarter, which stood at 55.3 million, in a market which grew 23% in a quarter at a time when global market for smartphones was flat on-year for the first time. Samsung maintained its No 1 position with 29%, on the back of strong demand for its flagship Galaxy S7 and S7 Edge devices, and refresh of the popular entry level J series, Counterpoint said. Micromax maintained its No 2 position in smartphones with 17% share. Apple also recorded a stellar 62% annual growth in the first quarter. Chinese players, according to the firm, increased their combined to share to capture 21% share. Vivo grew its base over seven times while OPPO grew its by 1.8 times. Xiaomi, which was not present in the top 5 players grew by a comparatively modest 35% on-year. Govt should ban LYF mobile becoz its cheating customer in name of LTE by quoting 2-3 times high price than market price. Please state your needs. Do you require data? If so how much? ;4G or 3G or 2? Local calls? How much usage? Budget? for call (mostly STD), also need data 2g-3g abt 1GB, no issue with post paid, can opt for CUG plans betwn diffrnt circles..